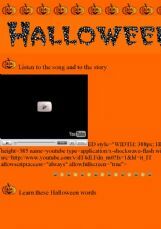 A FUN WAY TO LEARN EVERYTHING ABOUT THIS DAY, EVEN WHAT PRECAUTIONS KIDS SHOULD TAKE AND WHAT THEY SHOULDN�T DO. I INCLUDED A POEM THAT I INVENTED. 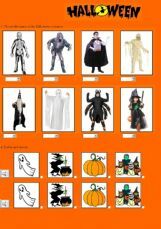 Three exercises with halloween costumes and a haunted house. 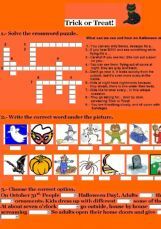 Fun and simple Halloween activity. A short video and some questions on Halloween and its history.